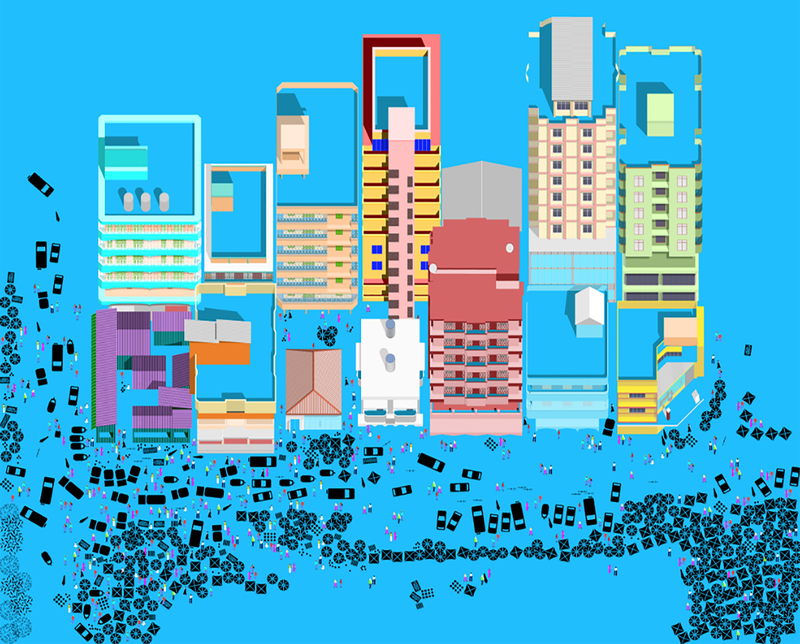 Assistant Professor of Architecture Emanuel Admassu talks about his ongoing research of urban marketplaces in two African cities. Assistant Professor of Architecture Emanuel Admassu is conducting pioneering research exploring how evolving notions of global art and design play out in Africa and across the African diaspora. 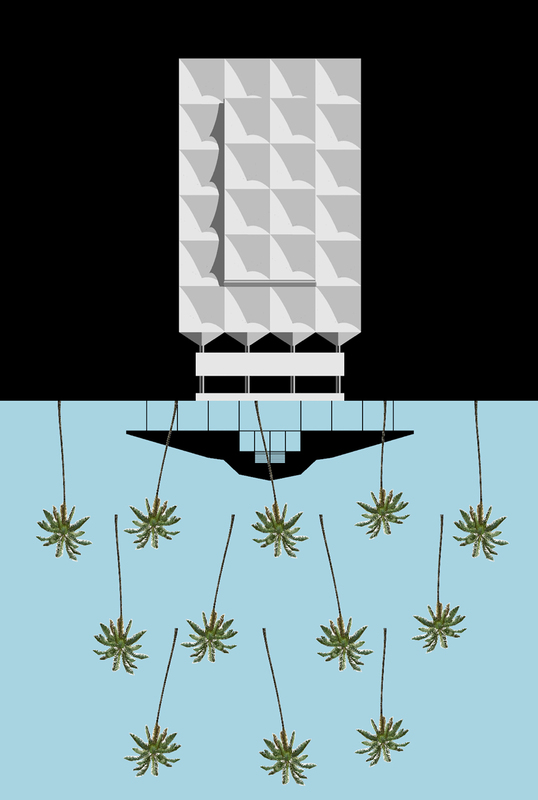 As the inaugural recipient of the department’s Design Research Seed Fund, he is working with fellow architect Jen Wood—his partner at AD-WO—and a group of RISD Architecture students to examine the constructed spatial and sociopolitical identities of urban marketplaces in Dar es Salaam, Tanzania and Addis Ababa, Ethiopia, where he was born. 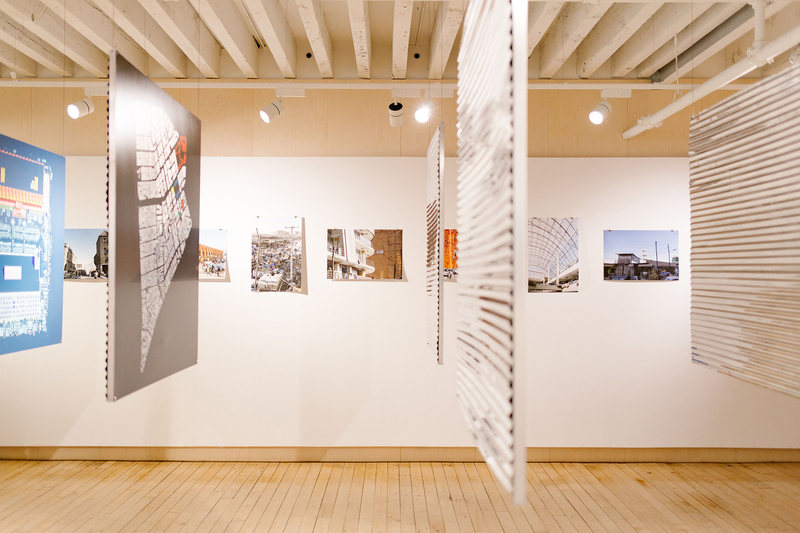 In sharing their research, the Two Markets team created an exhibition (on view through April 28 in the BEB Gallery) that presents unique renderings of these markets highlighting the theoretical framework they envision instead of the typical “helicopter view, which flattens perspective and fosters the colonial gaze,” as Wood puts it. And rather than present their research in a typical lecture format, the team invited viewers to crowd into the gallery in an attempt to simulate the press and intensity of an African market. They then made their way through the crowd discussing the drawings they’ve suspended from the ceiling. Admassu and Wood presented their research in the gallery rather than via a typical lecture format. This year Admassu is also promoting critical exchange as the third recipient of RISD’s Global Faculty Fellowship (GFF), a program designed to support international research and collaboration. Just days after presenting the Two Markets project, he cohosted the panel discussion Where Is Africa? at the RISD Museum along with Curatorial Fellow Anita Bateman. Bateman and Admassu have been working to expand understanding of African identity and image making by interviewing a range of practitioners across the African continent and diaspora. For the thought-provoking panel discussion, they invited three women—independent curator Niama Safia Sandy, experiential artist Salome Asega and filmmaker and multidisciplinary artist Adama Delphine Fawundu—to share their views on maintaining African identity, diasporic belonging and cultural affiliations while creating work that speaks to their lived experiences as residents of Brooklyn, NY. The panelists agree that in the US black artists are often forced to present a unified front in struggling against systemic racism and oppression, but that this unity can lead to a regrettable homogenization of African cultures. Each of them attempts to avoid this trap by ensuring that her work is culturally specific. Where Is Africa? 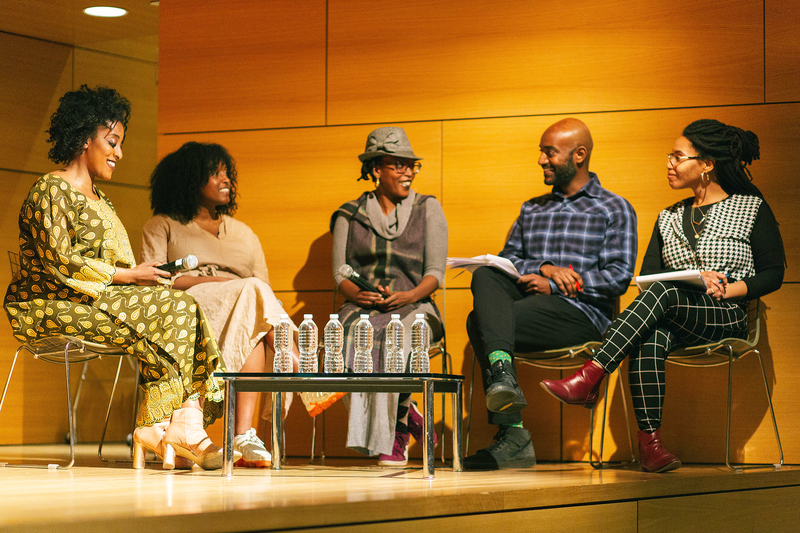 panelists held a lively discussion about maintaining African identity while growing up and living in Brooklyn. Fawundu describes the circumstances of the contemporary black artist as “a balancing act. It’s hard for black people to tell their own story without getting exploited,” she explains. 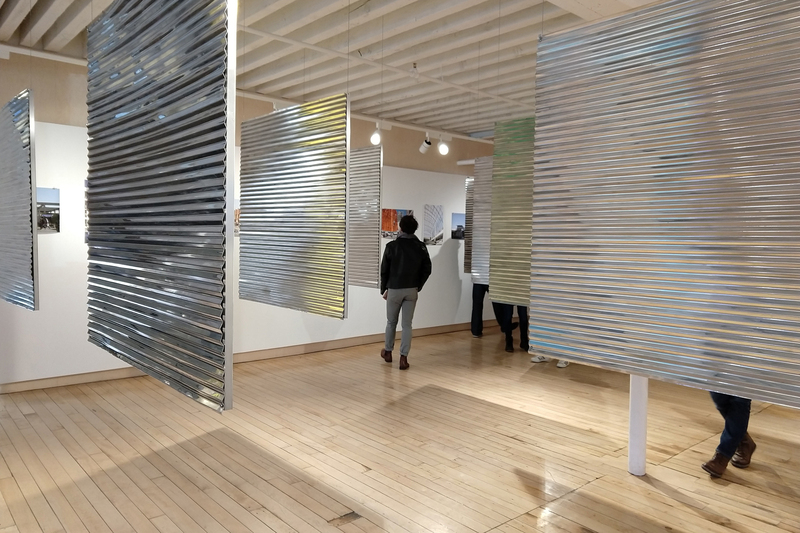 In an exhibition at Sol Koffler Graduate Student Gallery, books by 37 recent alumni shed light on new approaches to writing a thesis.